Symmetrical, double the personal space and twice the convenience, there’s no doubt that his and hers sinks are a striking addition to any luxury bathroom design. The tempo of life has also increased and with modern couples now leading typically busier lives, they simply need access to the bathroom whether their partner is in there or not. Plus, jostling to use the sink with a mouth full of Colgate Total is hardly ever fun is it? So, would you be tempted to have his and hers sinks in your new bathroom? Allow us to explore some advantages and disadvantages of having his and hers sinks in your luxury bathroom design. Ok so we’ve briefly covered this one already but one of the main reasons why couples tend to opt for his and hers sinks is the fact that they gain their much-valued personal bathroom space back. Many couples who first move in together are so used to their own space that sharing a bathroom can come as a bit of a shock and all of a sudden, it causes friction. With his and hers sinks, bathroom bickers will be a thing of the past and so will trying to get ready on top of each other. The most obvious disadvantage of having his and hers sinks is the fact that you will need to purchase and install not just one new sink but two. Then there’s the extra fixtures and fittings to consider, not to mention double the plumbing and maybe even twice the handwash. If you’re happy to increase the renovation budget for your luxury bathroom design, however, then we’d say go for it, his and hers sinks have plenty of pros too. Now here’s a useful fact for you. Two sinks are extremely convenient. With our lives becoming increasingly busier and our schedules overlapping on a daily basis, there will be no more waiting around to start your morning routine with handy his and hers sinks. There is also the quality time you can enjoy with each other as you brush your teeth in sync. Ah, bathroom bliss. Integrating his and hers sinks into your luxury bathroom design may actually half your normal countertop space and leave no room for the lotions and potions you’d usually have to hand. The plumbing again is also something to think about as this could potentially take up any storage room you were hoping to use under both of the sinks. The trend for a hotel-style home has gained in popularity of late with homeowners seeking comfort and luxe over the stark working environment they are so used to spending their days in. For the ultimate and deluxe, Hotel-style bathroom, combine ultra-stylish brass taps and fittings with a crisp white double sink and vanity unit. So, now we have weighed up the pros and cons of having his and hers sinks, we hope you are a bit clearer as to which option would work best for your home. 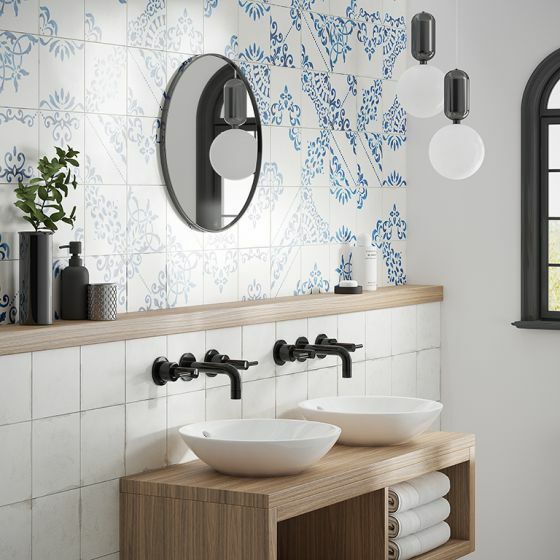 No matter what your preference, your needs are our priority and at Doug Cleghorn Bathrooms, our approach ensures you get exactly what you want and in the timescale that you desire. For further help and assistance on your luxury bathroom project, why not visit us at our Doug Cleghorn Bathrooms Leeds showroom. Because remember, great design is not just what it looks and feels like, great design is also how it works.